Add a floral finishing touch to her look with this dazzling 1/4 carat diamond flower pendant. Crafted in elegant 9ct gold and set on a fine chain for an ultra feminine feel. 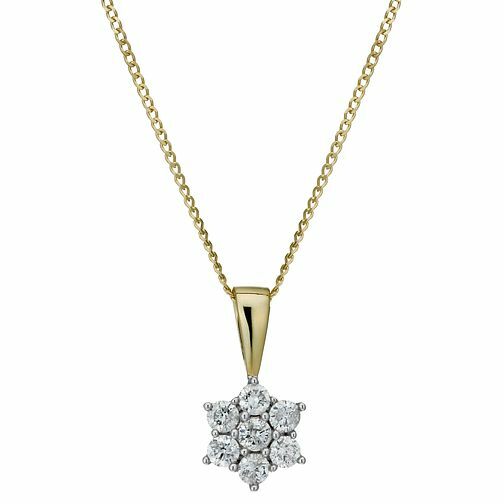 9ct gold 0.25ct diamond flower pendant is rated 4.0 out of 5 by 2. Rated 3 out of 5 by Anonymous from Chain broke Nice design of the pendant. Unfortunately the chain broke within a few hours of wearing it on Mother's Day. Luckily the diamonds were not lost.